Chili – with its endless variations and, more often than not, the inclusion of protein-rich beans – lends itself perfectly to vegetarian diets. And the Crock Pot is the perfect place to brew up a warm, hearty vat of chili. And so I thought, hey! 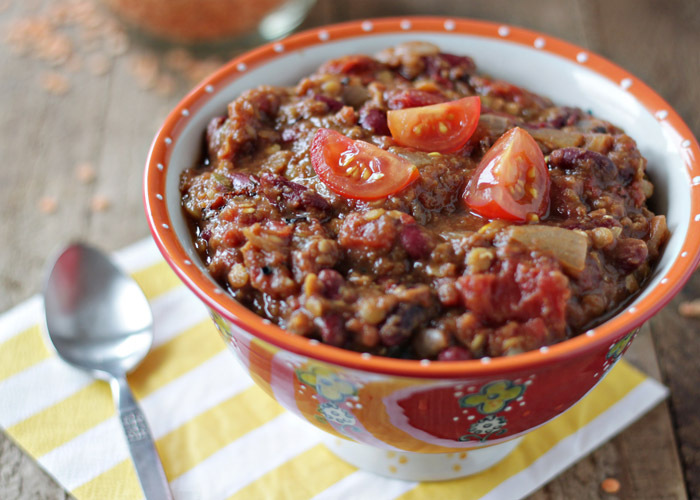 I should do a round-up of slow cooker vegetarian chili recipes! 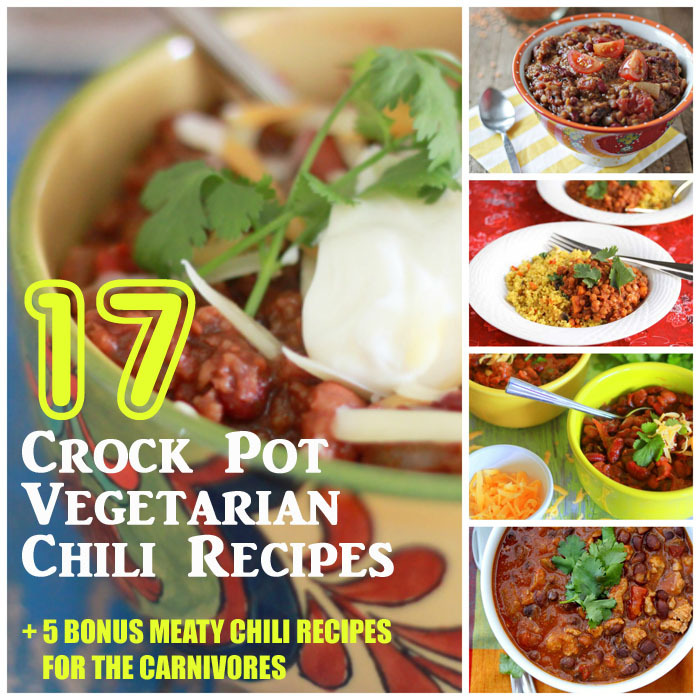 Interestingly, vegetarian chili recipes made in the Crock Pot were a little hard to find. This surprised me. Maybe it’s just my obsession with both things that made me think that, surely, a gazillion other vegetarians out there are obsessing over – and creating – similar chili recipes. Not necessarily so. Or maybe I’m just a sucky detective. But! After some poking around, I found a pretty great selection of Crock Pot vegetarian chili recipes – and, of course, I had to share a few of my own favorites. I think they’ll keep my Crock Pot on the counter all winter long. (I’ve added a few meaty recipes at the end to show the carnivores some love). 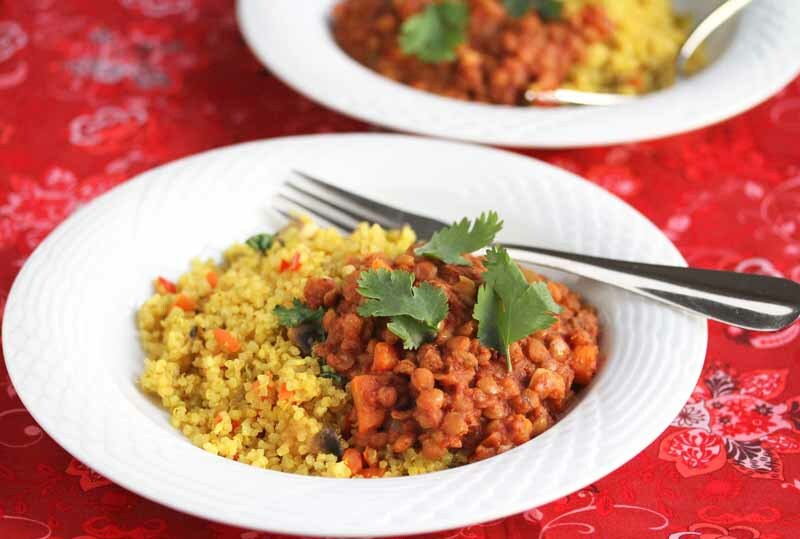 Slow Cooker Lentil and Pumpkin Chili – Healthy. Delicious. 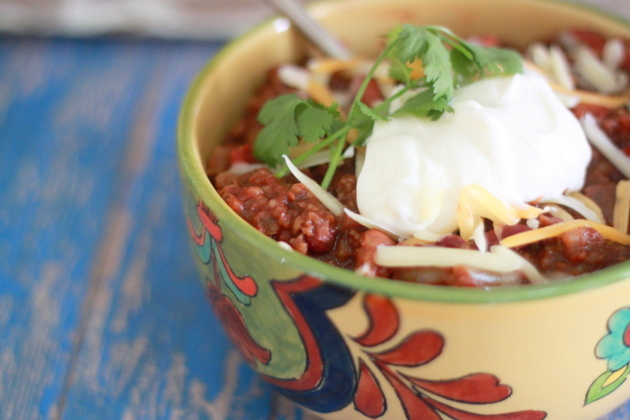 And 5 Bonus Meaty Chili Recipes for the Carnivores! I LOVE chili especially in Oregon’s Cold days! Thanks for including my green tomato garlic chili, Karen! Your round up is inspiring! Thank you so much for including my chili verde! LOVE this roundup! I love it that Slow Cooker from Scratch helped you find some vegetarian chili recipes; thanks for the shoutout! Great round-up! Even meat-eaters love veggie chilli, so it’s a great vegetarian thing to make for carnivores 🙂 Sharing!